See also the Online magazines and Digitisation projects sections in the Web links page. Lost lesbian places in Wellington, New Zealand - a list of lost (or mostly lost) lesbian places, derived from a longer list of places cited in the Lesbian/Gay Historical Walk of Wellington. The Trials of Eric Mareo - for the murder of his wife who had been having an affair with dancer Freda Stark. LILAC has a recent biography of Freda Stark which covers the events. The conquest of Mount Cook and other climbs : an account of four seasons' mountaineering on the Southern Alps of New Zealand by Freda du Faur, an Australian lesbian who was the first woman to climb Mt Cook. Probably no lesbian content. LILAC has a recent biorgaphy of Freda. This study explores pre-1970 lesbian life and lives in Aotearoa/New Zealand before the impact of women's and gay liberation and lesbian-feminism, using written sources and oral histories. nzresearch.org.nz has access to full-text recent New Zealand theses - the link does the "lesbian" search for you. Love Scenes by Sara Knox (from Sport 16, Autumn 1996) - short story or biography? Leves Amores - the short story that got Katherine Mansfield back on a boat to England in quick time, the one that does not appear in the volumes of "Collected Short Stories". Ladies Almanack - classic by Djuna Barnes, originally published in 1928 in Paris. The True History and Adventures of Catharine Vizzani - Catterina Vizzani (1719-1743) was an Italian passing woman who ran away from home at the age of 16, adopted male clothing and thereafter lived as a man under the name Giovanni Bordoni. In 1743 she convinced the niece of a vicar to elope to Rome with her. They were stopped on the way and Giovanni/Catterina was fatally wounded. Her biography was written by the surgeon Giovanni Battista Bianchi who had performed an examination of her remains (en.wikipedia.org/wiki/Catterina_Vizzani). The biography was translated into English by John Cleland, who was less than sympathetic to her life. Charlotte Cushman: her letters and memories of her life by Emma Stebbins. Charlotte (1816-1876) was an American actress who spent part of her life in Europe, played men's roles on stage, and lived in all-female households with her partners and others. (LILAC has a recent biography of her). The Fiery Fountains - Margaret Anderson (one of the Americans in Paris in the 1920s) about her relationship with opera singer Georgette LeBlanc. The following links lead to recovered texts compiled by British gay historian Rictor Norton <http://rictornorton.co.uk/eighteen/>. He has provided some context and commentary on each text. radfem.org has a collection of feminist books in .pdf format, including the complete works of Andrea Dworkin. Ursula Bethell (1874-1945), New Zealand lesbian poet - poems and links to information about her at the New Zealand electronic poetry centre. The Six Memorials poems were written on the anniversaries of the death of her partner Effie Pollen. See also Chapter 11 in Alison Laurie's thesis. H.D. 's poetry: Hymen and Sea Garden. Aphra Behn (1640-1689): 'To the Fair Clarinda'. Christabel by Samuel Taylor Coleridge - there is information on Wikipedia about the poem, which was was reputedly written in 1797 and 1800 and published in 1816. Gormglaith - Radical lesbian separatist novel set in a plausible future with a witchy bent. A Description of Millenium Hall by Sarah Scott (1723-1795). There is a description of the work at Wikipedia. OutWeek magazine - This site contains the entire 105 issues of OutWeek Magazine, published in New York from June, 1989 to July, 1991. OutWeek Magazine was the seminal lesbian and gay publication during the peak era of AIDS activism in the late 80s and early 90s. It redefined the role of the activist gay press, not only by reporting the news but also by frequently making news itself. Its aggressive coverage, incisive commentary and in-depth investigative articles on gay rights, politics, AIDS, the arts and popular culture made it a must-read publication far beyond the usual scope of gay magazines. The archive is digitized in a high-resolution pdf format suitable for printing. outhistory.org - links to all sorts of goodies - American focus. 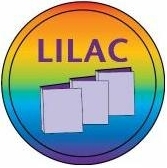 We are looking for free Lesbian full-text resources on the internet and listing them here for your convenience. Some are comtemporary "born digital" works, and others are older, out of copyright, and scanned. The Lesbian in Literature, the 3rd edition of Barbara Grier's book (1981), is an indispensible aid for finding our literary history [and this title is available online! as a pdf file]. We are using this classic when searching fulltext online repositories, including the Internet Archive texts and Project Gutenberg for lesbian titles that are out of copyright. Scanned fulltext works are just - pages including all the marginal notes, flyspots etc etc scanned. All of which gets converted by software to "something" in the raw scanned text files. Project Gutenberg files are corrected by volunteers (hooray), but the Internet Archive has over 1.6 million texts - full of "omet#ing§". PDF files may be less frustrating to read, but are much bigger for downloading than text or html files, and Google charges for them. Files from the NZ Electronic Text Centre are well presented and free. Most author names in the lists below are linked to biographical information, generally from Wikipedia. Some of the Wikipedia pages link to biographical information written from a queer perspective in the GLBTQ encyclopedia. 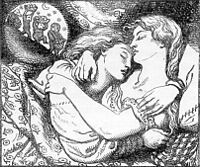 We welcome information about other free lesbian fulltext resources on the internet.